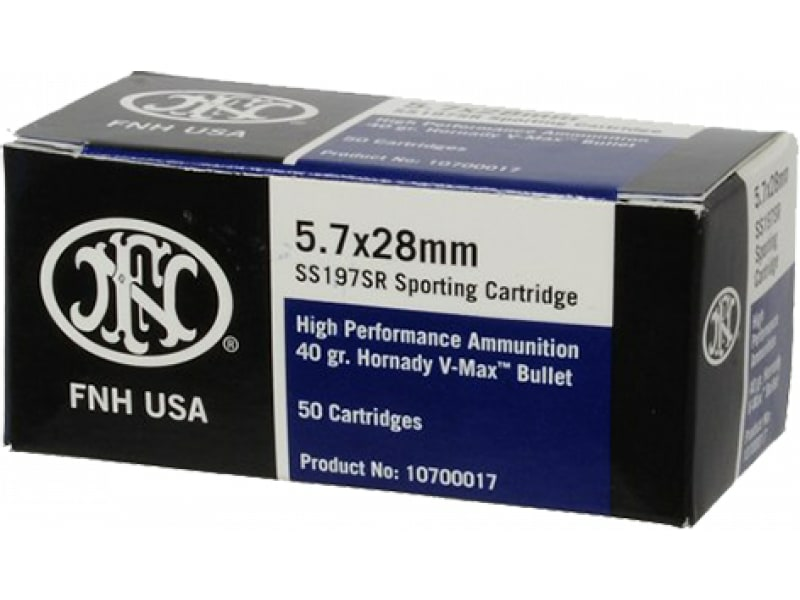 FNH SS197SR: This accurate, flat-shooting round is an FN USA product distributed across the US by Federal Premium Ammunition. 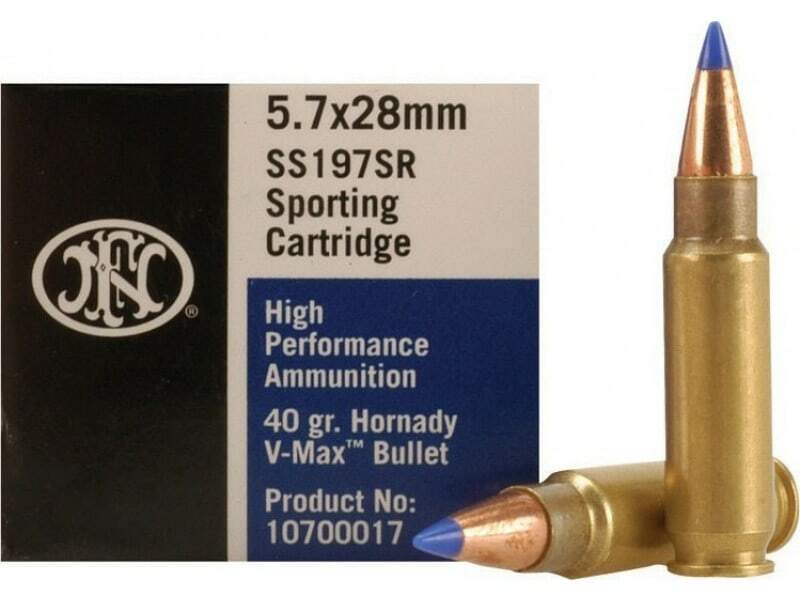 This Sporting Round is loaded with Hornady's extremely popular V-Max bullet. 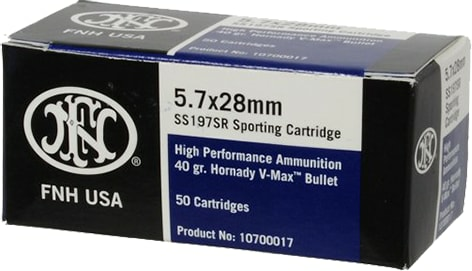 The V-Max is a polymer tipped bullet which enhances accuracy, creates rapid expansion and brings the ricochet down to a minimum.